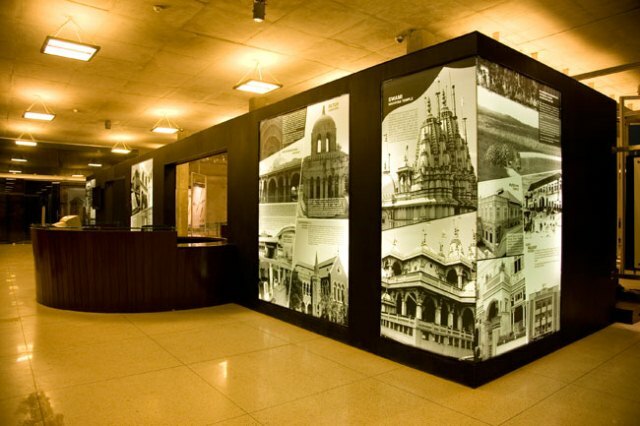 Sardar V Patel Museum and Planetarium is a popular place of attraction in India. It is also referred to as Sardar Sangrayala and it mainly showcases relics and artifacts that are integral part of rich cultural heritage and history of the state. The planetarium is introduced later with this museum to organize shows on the evolution of the universe on a daily basis. The museum is a popular travel spot which attracts tourists all over the world. The planetarium is the chief attraction of this landmark complex that daily organizes shows on the evolution of Universe along with detail portrayal of the movement and position of the heavenly bodies like plants, moon and stars in the shape of 3 D images. The audio is recorded in three languages that include English, Hindi and Gujarati. The museum is itself the storehouse of vast antiquities around 8400 that include ancient manuscripts related to the historical past of the city. Here visitors will get to see textile, miniature paintings etc. The art gallery of the museum exhibits modern and regional ethnicity and art. The auditorium compound has been designed for lectures, seminars and meetings. For snacks and refreshments tourists can visit the top floor restaurant of this complex. The science gallery exhibits various scientific facts and discoveries in an amusing way. This museum was previously called Winchester Museum which came into existence in the year of 1889. After the independence of the country, the name of this museum was named after Sardar Patel. It is opened everyday barring public holidays and Sundays. The museum occupies area of about 21800 square meter. Its art complex has been renovated and remodeled in the year of 2009. This complex comprises of the amphi theatre, museum, art gallery, auditorium, planetarium, and science center. So the museum offers sufficient scope for the tourists to explore every corner and is one of the few places to visit in Surat. This landmark museum with planetarium is located in the heart of Surat. It will roughly take about 241 km to reach this museum from the nearby road of Gandhinagar Airport via NH8 and NH848.